Brazilian Real is likely to take a sideways walk for the time being. 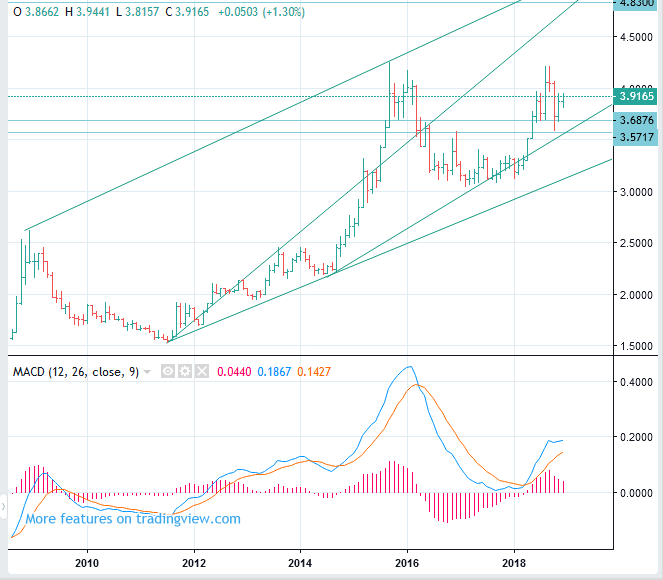 In the long run, the USDBRL is likely to rise higher. If it falls, it is better to look for opportunities to buy. There seems to be no need to rush. Brazil is one of the BRICS countries. If they are faithful to anti-imperialism camp, the future of Brazilian Real will be bright.